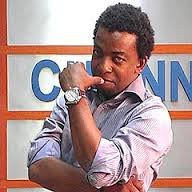 Olu Phillips is a producer and a presenter at Channels Television. He is a versatile journalist with an eye for details. As the incisive correspondent for the oil and gas, he is determined to unleash his best investigative talent via the Channels Television. The Channels Television energy correspondent, Olu Philips is fast growing into a daring reporter par excellence. He and cameraman Polynus Odedeyi were abducted in June, 2014 by some gunmen at the Niger Delta creeks while they were returning from an official assignment. They had gone to cover an event at the Ogidigben Gas Plant in Warri, Delta State. In a telephone interview, Philips spoke from the Naval base in Warri, Delta State, recounting their experience in the hands of the kidnappers. He said that the crew had boarded a boat on their way back to town after covering an event when they were accosted by the kidnappers off the creeks of Gbaramatu in an area called Escravos, in Delta State’s riverine area. “Around 11:00am, we saw another speed boat coming behind us. They were about six boats. They caught up with us, asked us to stop and surrounded us. “They had guns with them and they asked us where we were coming from and we told them we went there to cover an event. They said we were spies and they collected our camera and put it in another boat, after hitting the camera man. “They made some calls and decided to take us to Gbaramatu. They took us to a High Chief popularly known as Tompolo. “They beat up some other persons that were not journalists. After beating them, they handed them a rifle with three magazine and asked us to stand behind them that we were criminals and that they saw the rifle and pistols with us. They took photographs of us and were posting it on the internet that we were all criminals, Philips said. According to him, the abductors made several threats that they will kill and throw them into the river. He further said that they were held hostage till about 6-7pm before some Naval officials arrived and they were handed over to them.